Some of these campsites are located within spectacular national parks. For most national park sites you will need to bring your drinking water and rubbish bags. It is illegal to collect firewood so if you are going to use the fire rings, bring your own wood. 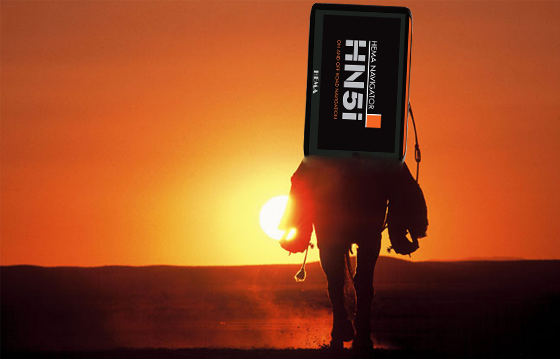 Mobile phone coverage is patchy at best but some sites have access to a payphone. Nights can be cool at any time of the year so take plenty of warm clothing. No domestic animals are allowed in the parks. 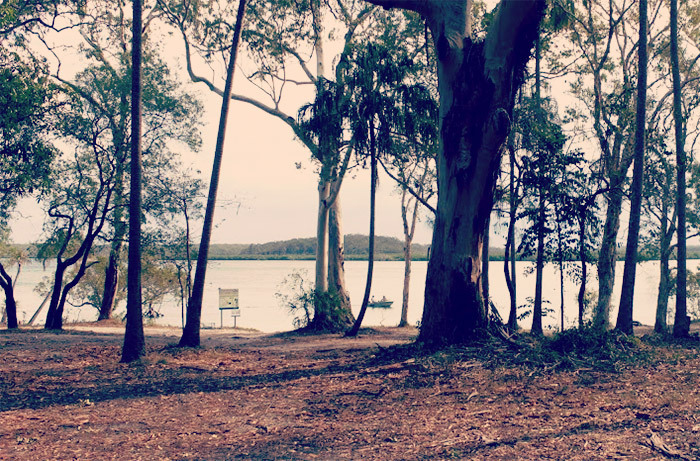 What to Do/See: Fishing, swimming, windsurfing, kayak, canoe, SUP on lake and Noosa River, climb Mount Cooroora, check out the Great Sandy National Park, visit Hastings Street beach, Noosa Botanical Gardens, visit Eumundi Markets, Noosa Bird Trail, visit Mount Tinbeerwah, park over road and take a walk to cafe. The nearby pub offers counter meals. Access: Two-wheel drive vehicles, beyond the camping and day-use area, requires a high clearance four-wheel-drive. Facilities: Toilets, taps but water needs treating before drinking, bring own firewood for fire rings, paddock next to camping area for horses. Tips: Heavy rain can flood creek crossings which can cut roads in Imbil State Forest. Check water depth before crossing. Fuel and supplies available from Kenilworth, Conondale and Maleny. What to Do/See: Explore the beautiful rainforest, waterfalls, creeks, eucalypt forests in Imbil State Forest and Conondale National Park. The wildlife is just as diverse with 120 species of birds and mammals. Horse riding, walking and cycling on tracks which vary in walking classification from grade 1 to 4. Access: Two wheel drive access available from the north via Woodford but access from the south is by four-wheel-drive only. Tips: Visit Walkabout Creek Visitor Centre before you leave for your walk. What to Do/See: Spectacular views from Westridge Outlook in D’Aguilar National Park. The park contains lush subtropical rainforest, eucalypts and scribbly gum trees and native owls, cockatoos and gliders. Ferns and mosses provide protection for frogs and crayfish. The Mount Mee section of the park offers drives for 4WD, motorbike and trail bikes. Various lookouts provide spectacular views of Brisbane city, forests and mountains. Access: Unsealed roads within the park can be corrugated, so the park recommends tying down loads and slowing down in wet conditions. Suitable for: Tents, camper trailers, small caravans. High clearance is recommended. Tips: Boat access is available nearby, check Bureau of Meteorology before heading to the campsite for any warnings of high tide, Tsunami and cyclones, mobile phone coverage is not reliable. What to Do/See: Situated on the banks of the Kauri Creek, this is a popular fishing location. Kayak on the creek for the opportunity to see a dugong, turtle or dolphin. What to Do/See: Fishing, crabbing and prawning available in the area. Boat ramps available on the island and mainland. Over 190 bird species have been recorded at the bird hide at Buckleys Hole Regional Park. Find structures from the World War 11 coastal defence system. Driving on part of the beach is allowed. Stunning views from coastal campsites. What to Do/See: The property is a working macadamia farm with fruit, vegetables, herbs and honey so take a wander around. 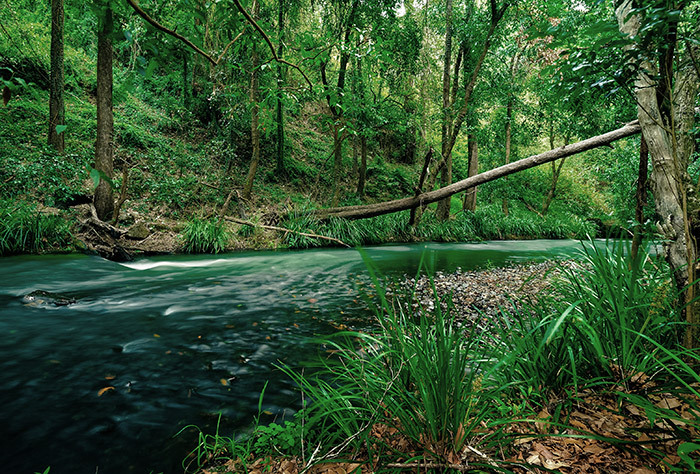 The adjoining Parklands Conservation Park has eucalypt forests, gorges and rainforest gullies. The Ginger Factory has rides, tours and beautiful parks and gardens to explore. Visit the Wappa Falls Astronomical Observatory or take a walk at Mount Ninderry or Dunethin Rock. 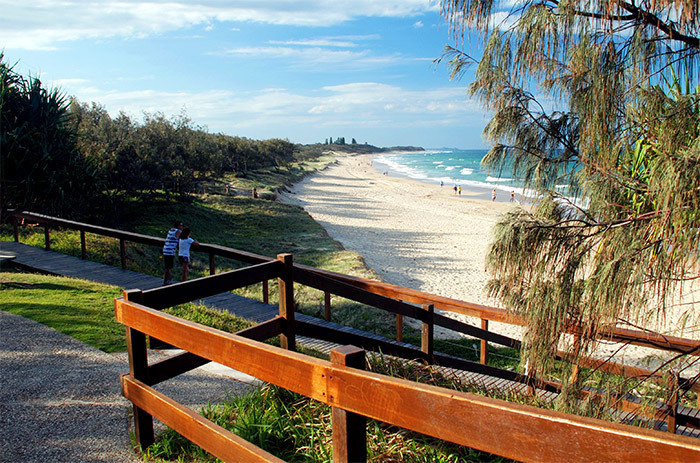 The beautiful Sunshine Coast beaches are less than 15 minutes drive away, and it’s just 20 minutes’ drive to Maroochydore, Montville and Noosa. Suitable for: Caravans, camper trailers and motorhomes can park at Camping Area Number 4 only. Tents only in Camping Area 1 & 3. Camping Area 2 is for day use only. Facilities: Toilets, water is pumped from the creek so it needs to be treated before consuming, fire rings. Tips: Tracks can be narrow and winding and occasionally steep and can be challenging in the wet. The spectacular overhanging rainforest and mountain views make it worthwhile though. Flood waters rise and fall quickly in this area so beware. Use strong containers for food and rubbish storage as lace monitors and other wildlife forage in the campgrounds. What to Do/See: Within the Conondale National Park you can walk to a 1920s gold mine and Strangler Cairn sculpture. The serene Booloumba Falls or Artists Cascades are worth the slightly longer hike, but if you are a keen hiker, the Conondale Range Great Walk will take you at least three days to complete. 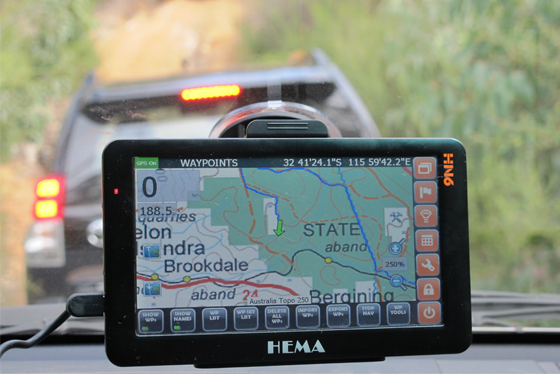 With creek crossing and challenging tracks, Conondale National Park is ideal for 4WD enthusiasts. 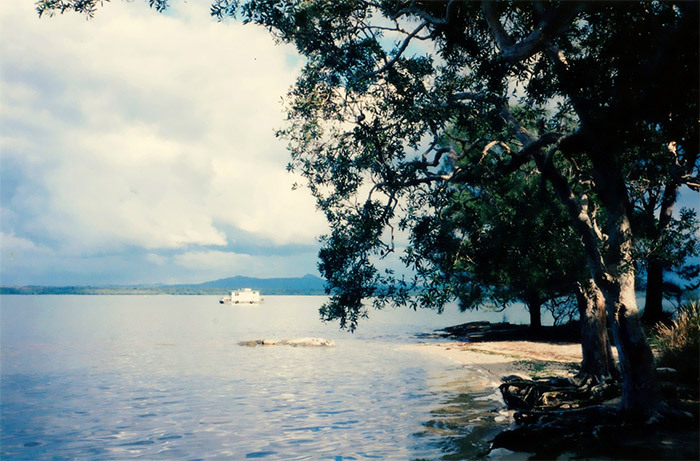 Make sure you give yourself plenty of time to explore some of the country’s most spectacular national parks and coastal towns in and around the Sunshine Coast. If you have any queries about maps or guides for the area, visit us in-store, call (08) 9335 8665 or contact us online.